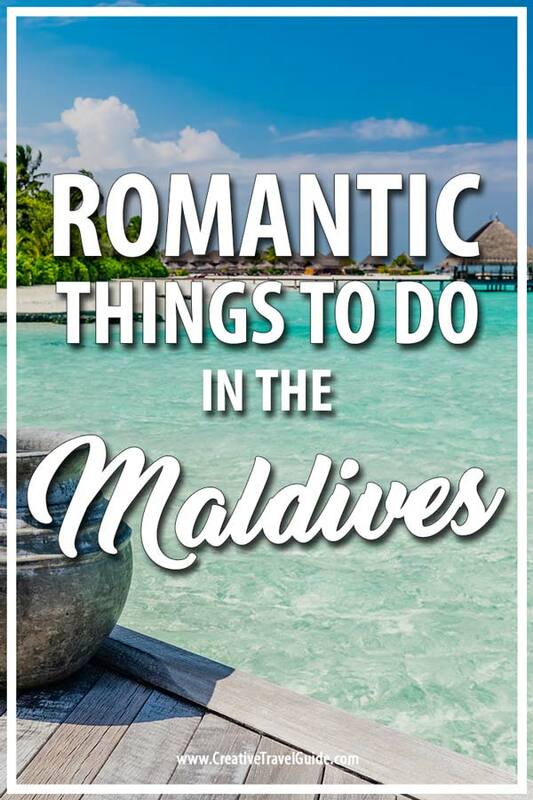 There are so many beautiful things to do on a Maldives Holiday and Rahma from The Sane Adventurer is sharing the best of the best romantic things to do in the Maldives; perfect for anyone planning a romantic getaway or honeymoon in the Maldives. Visiting the Maldives has been one of my most-awaited dreams. The fascination of walking on the soft white sand, with crystal clear turquoise water in the backdrop made me hard to wait for the day when I actually visit the island country. The Maldives is one of those places on the earth where rejuvenation has a whole different meaning. 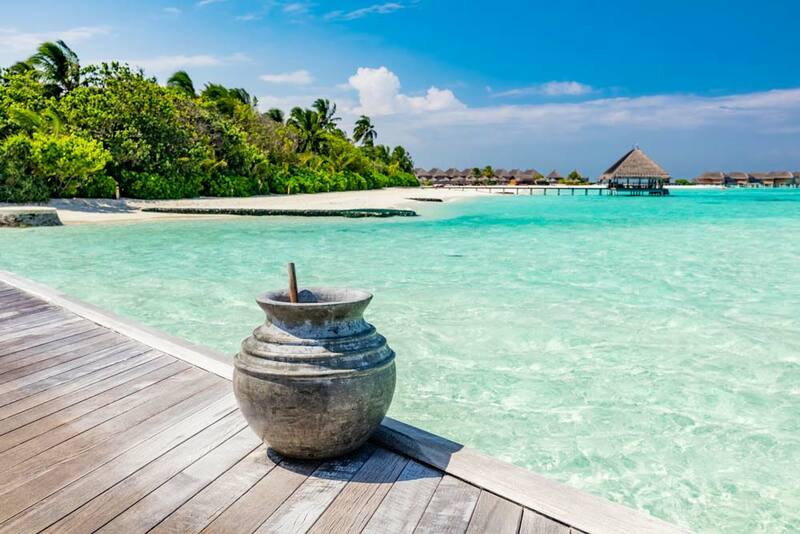 From strolling around extremely picturesque islands to sleeping with the sound of small waves gushing through your water villa, Maldives is an experience of its own to cherish. I had the opportunity to visit and see the glimpse of heaven, the Maldives with my boyfriend. 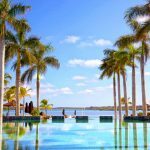 I had the opportunity to stay at a luxurious and big resort island with twenty overwater villas and more than fifty sea facing bungalows. It was the best choice I could have made for my dream vacation to the Maldives. 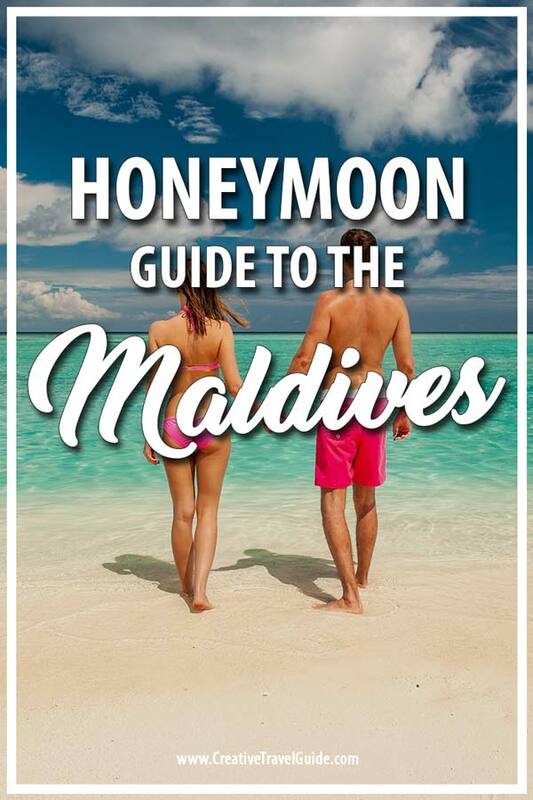 I have heard many fellow travel bloggers saying that it is very easy to get bored in the Maldives; however, my experience was entirely different. The resort had many fun as well as romantic activities to do all day long. Also, how is it even possible to get bored on such a scenic island surrounded by the best views anyone can witness in all of their lives. 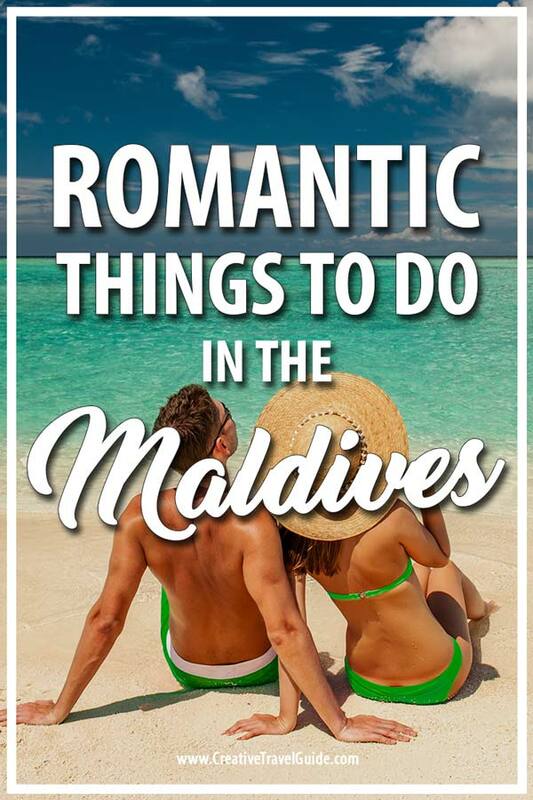 To prove that it is actually NOT possible to get bored in the Maldives, I have listed down some of the most romantic and fun things which I thoroughly enjoyed during my visit to the little heaven on earth; the Maldives. Nothing in the whole wide world feels more comforting than a hand-in-hand walk with your significant other on a beach. And when that beach happens to be in the Maldives and you’re walking on silky soft white sand, the comfort of it goes to a whole different level! Walking around the beautiful resort beach was one of my most favourite activities to do during my stay. The island has a long and lit up walkway going from the main lobby to the water villas. The walkway is a wooden passage lit up with small yellow lights, which makes it looks even more dramatic. I fell in love with the view of the water villas every single time I walked on that walkway! Walking within nature gives a spiritual rejuvenation to the mind and soul. Sipping the very refreshing Maldivian coconut water is an ideal way to beat the humidity on the island. As the Maldives is a tropical country, the weather can get humid during the monsoon months. So to remain happy and hydrated, coconut water should be your way to go! The beach café at the resort offered different refreshing drinks and cocktails all day long. It almost became a ritual for me and my partner to grab a coconut drink every afternoon during our aimless strolling around the island. It is almost impossible to visit the Maldives and not indulge in any of the many water activities available to do there. Being crazy adventure lovers, me and my partner took an ‘adventure package’ that consisted of five different water activities to do. I had the time of my life while parasailing above the turquoise waters of Maldives where I also asked my boyfriend to sing a romantic song for me mid-air. It is one of the most romantic memories of Maldives that I still cherish. Snorkelling in the Maldivian waters was a whole different experience, different from all the other snorkelling experiences I ever had. The most fun activity to do was jet skiing and kayaking. One of the reasons I selected a resort island for my stay in the Maldives was the variety of dining options it offers. With a varied variety of cuisines to eat from, my favourite one was the beachfront bar. 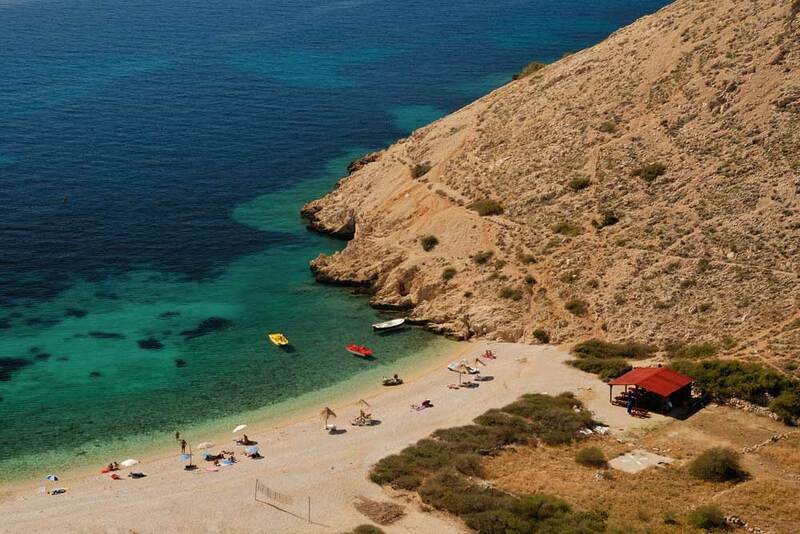 It is a 24×7 bar and perhaps the most happening place on the entire island. A different entertainment activity is planned for guests every day. The day activities consist of singing and dancing lessons for anyone who wishes to join. However, the night entertainment is something to look out for. There are fire shows, magic shows, belly dancing programs and many other programs to leave the guests entertained. After midnight, the bar turns into a disco and you can dance your heart out for the whole night. It will not be wrong to say that I had the most romantic and memorable time of my life in the Maldives. The small island has so much to offer to anyone who visits it. From the scenic views to the whole vibe of the place, the Maldives holds a very special place in my heart. What is the most romantic thing you have done around the world? Water is very clean and shiner that inspire everyone. I would love to go again! I absolutely love the Maldives! Thank you for sharing! Love your snaps by the way! Awe, such an great place. I really want to go to Maldives, it is definitely on our bucket list! That must be the most beautiful and relaxing place on earth. Such clear water, wow!